MOSCOW, September 14. /TASS/. 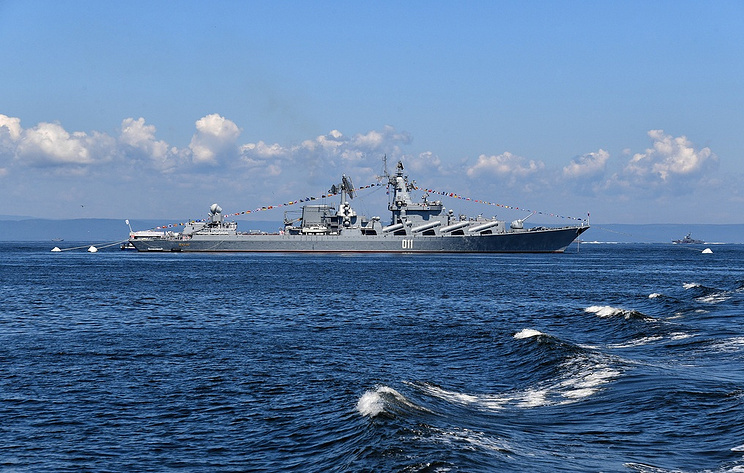 A strike group of the Pacific Fleet warships headed by the Varyag guided-missile cruiser has worked out cooperation with two units of small corvette anti-submarine warfare ships in the Sea of Okhotsk as part of the Vostok-2018 exercise, the Russian Defense Ministry told journalists on Friday. The ministry specified that apart from the Varyag the strike group also includes the Admiral Vinogradov and Admiral Panteleyev large anti-submarine ships. 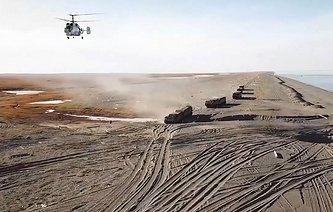 "The ships have jointly worked out elements of maneuvering and re-formation and air defense as a group at sea," reads the report which TASS has at its disposal. The drills to establish communication when performing anti-submarine tasks and exchange information about the situation in the maneuver area were also held. As many as 20 warships took part in the exercise, supported by ship-based aircraft.